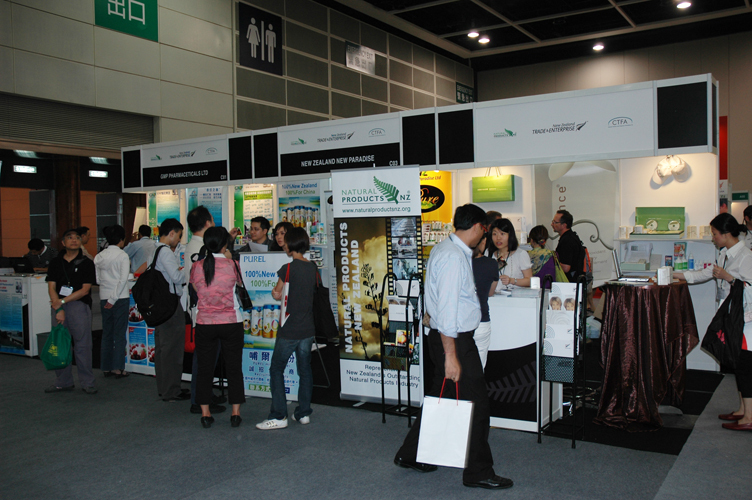 NZ at Natural Products Expo Asia 2010! 16 New Zealand Companies showcased their products at Natural Products Expo Asia: August 26 – 28, Hong Kong Convention & Exhibition Centre, Hong Kong. Our companies represent a wide range of industries, from organic food to cosmeceuticals to neutraceuticals. They were on display at Natural Products Expo Asia, Booth #2043. Follow our Twitter handle @NaturalNZinAsia to get the lastest on news and events from New Zealand companies in the Asian market. Thank you for following us on Twitter at Natural Products Expo Asia. Congratulations to our prize winners. Stay tuned to our twitter handle @NaturalNZinAsia to stay up to date with New Zealand natural products in Asia! > Check out our flickr page for more photos from the Expo and other events!